Today’s article is brought to us from the DIY cabinet of Stacie from the lifestyle blog, Simply Stacie who is our guru for DIY beauty projects. 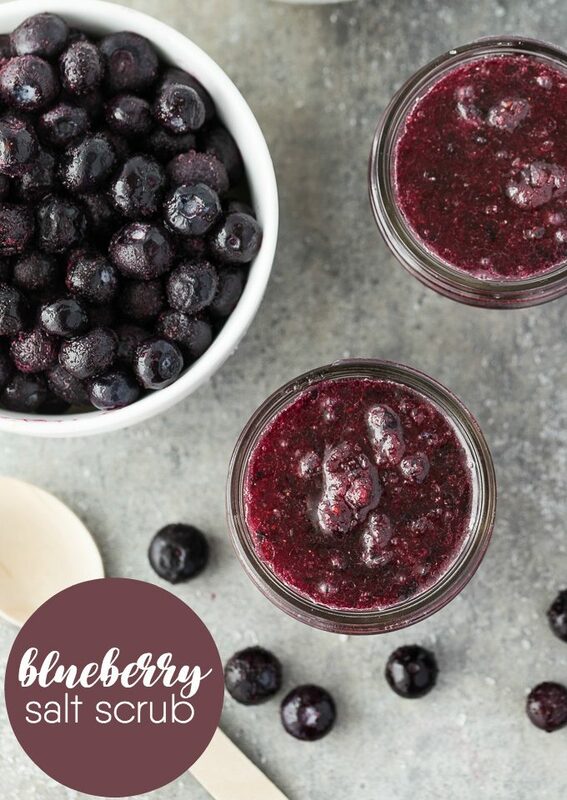 I love when Stacie comes to me with ideas and am super excited that she is sharing her DIY Blueberry Salt Scrub today here on SoberJulie.com. I adore these beauty projects, knowing ALL of the ingredients in my beauty products is a blessing and who doesn’t love a good salt scrub that’s easy to make? Blueberries don’t need to be in season for you to make this DIY salt scrub recipe. Use frozen blueberries – easy peasy! Just make sure you thaw them first or you’ll have trouble trying to puree them. These tiny powerhouses work wonders for your skin. They are full of antioxidants and surprisingly, have even more than green tea. I recommend using it on your body only. Your facial skin is much more sensitive and the Epsom salt may irritate it. Soothe, exfoliate and brighten skin with this simple DIY salt scrub. Stir in Epsom salt and coconut oil. Spoon into mason jars. My Grandma June always used to say Epsom salt was healing. When our dog hurt his paw, Grandma washed his paw in warm water with Epsom salt. This scrub soothes and brightens skin and also helps to exfoliate dead skin cells. Use it in the shower all over your body. My skin feels great afterwards. If you like DIY beauty, make sure to check out my other recipes. 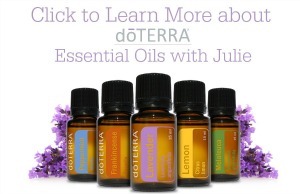 I have soaps, scrubs, lip balms and more! Do you ever make your own Epsom salt scrub?